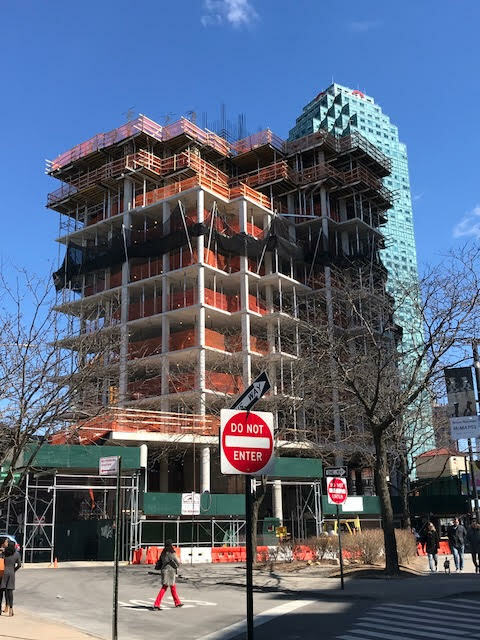 In February, we reported that a stop work order had been lifted at 22-43 Jackson Avenue and construction had reached the fifth floor.1 We stopped by last week we saw that construction has hit a growth spurt, doubling in size, as seen in the photo below. Construction is at 10 floors. 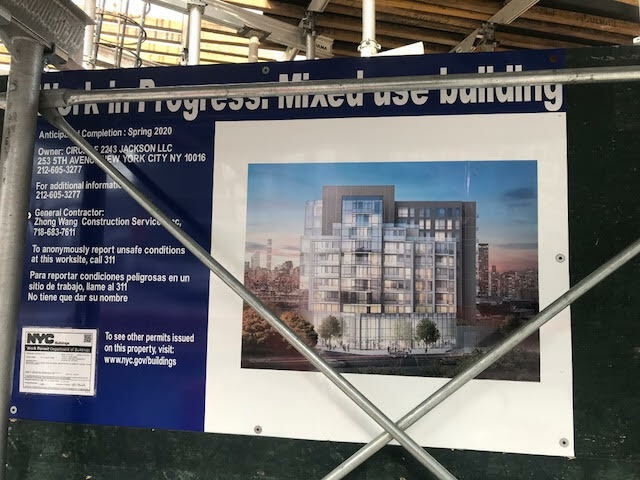 When all is said and done, this will be a mixed-use build containing 63,956 square feet of residential space and 11,725 square feet of commercial space.2 On site signage calls for an early 2020 delivery.